An epithet for the real estate industry, this might as well describe the satellite big data (SBD) market. With the drive for digitization spanning multiple verticals, the need for satellite-based analytics solutions will only increase in the coming years. That said, such solutions find greatest potential in applications where the spatial component of data is significant, and three non-mutually exclusive scenarios become immediately apparent: markets with mobile assets, large & distributed asset networks, or remotely located assets. 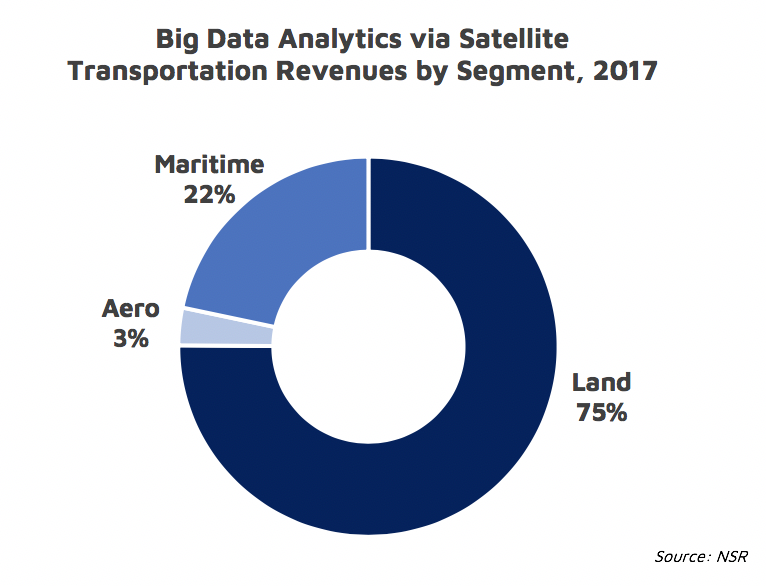 NSR’s Big Data Analytics via Satellite, 2nd Edition report identifies 7 vertical markets as growth areas, and more than 70% of the share is held by the Transportation, Government & Military (Gov/Mil) and Energy markets throughout the forecast period. In each of these, we have characteristic instances of the above scenarios. 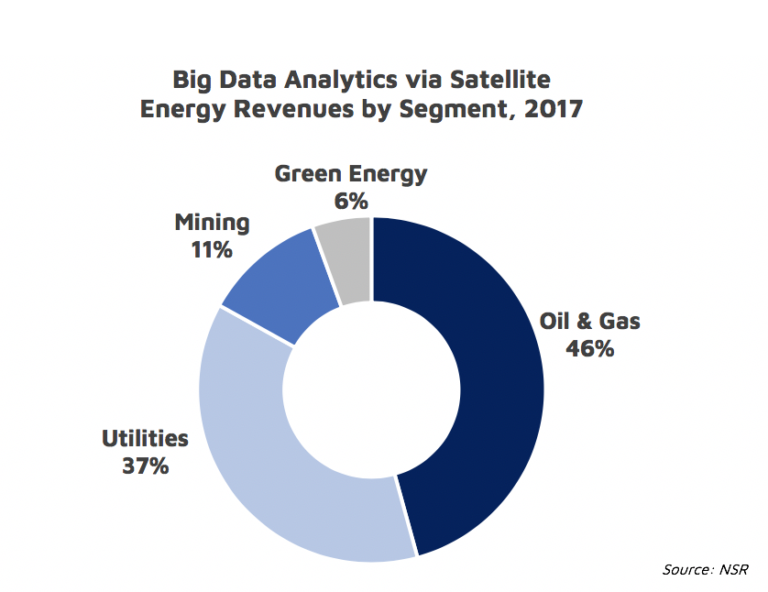 The report highlights the growth opportunity for satellite-based big data will come from an understanding of customer needs in these verticals, which will be key if satellite players are to remain relevant in this space. Furthermore, satellite operators and geospatial analytics providers must understand the power of being data agnostic and extracting predictive insights out of large volumes of a variety of data. The mobile nature of the transportation segment ensures that it remains important throughout the next decade, with nearly 1 out of every 3 dollars spent on SBD coming from land, maritime and aeronautical transport segments. Basic needs of asset tracking aside, market players need more novel value-added services for improved visibility into global and mobile operations, such as driver safety applications and intelligent cargo monitoring. Orbcomm’s recent release of a cloud-based intelligence service is an example of providing customers prescriptive insights that are actionable. 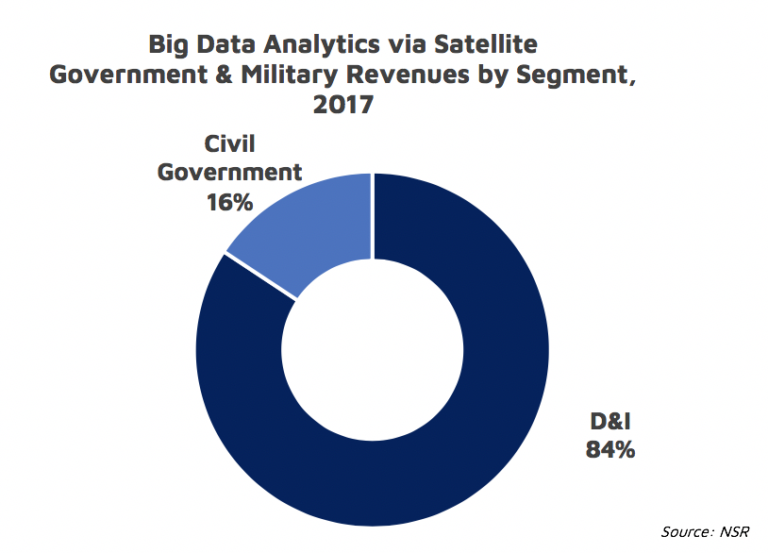 Taking up 26% of the total opportunity on average from 2017 to 2027, Gov/Mil is the second largest market for SBD analytics as we expect revenues to quadruple by 2027. NSR finds growth in this sector to be largely driven by the rise of geospatial intelligence (GEOINT), with EO applications growing at nearly twice the rate of M2M/IoT satcom applications. The continued support from the D&I establishment for GEOINT can be seen in instances like the National Geospatial Agency’s (NGA) recent $1.5 billion contract offer to Harris Corporation, to enhance its geospatial services.